The short video is set to music by Franz Joseph Haydn, performed by Michael Schopen and obtained from MusOpen.org, a royalty-free music source. On September 17, 2017, I walked from the Staten Island Railroad through the north part of Wolfe’s Pond Park on Staten Island. 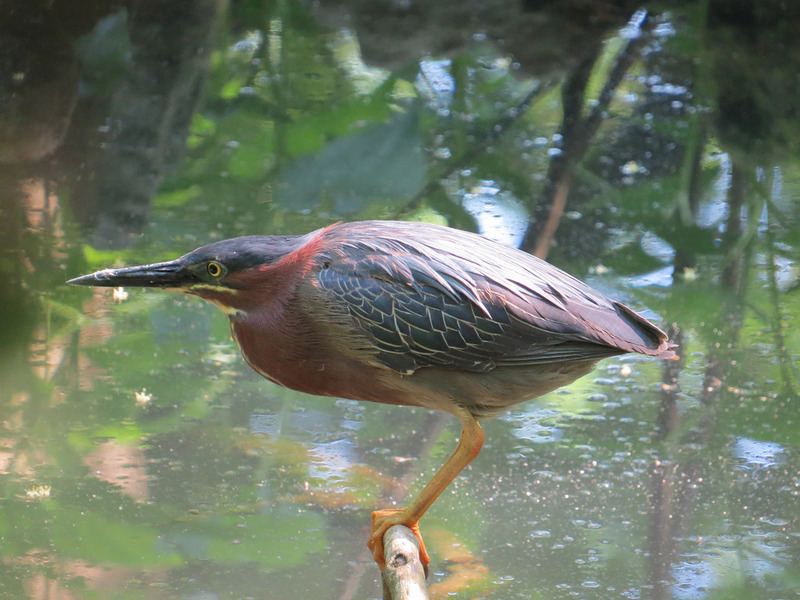 Of course, I got lost, and stumbled upon a beautiful green heron on some water not on my map. 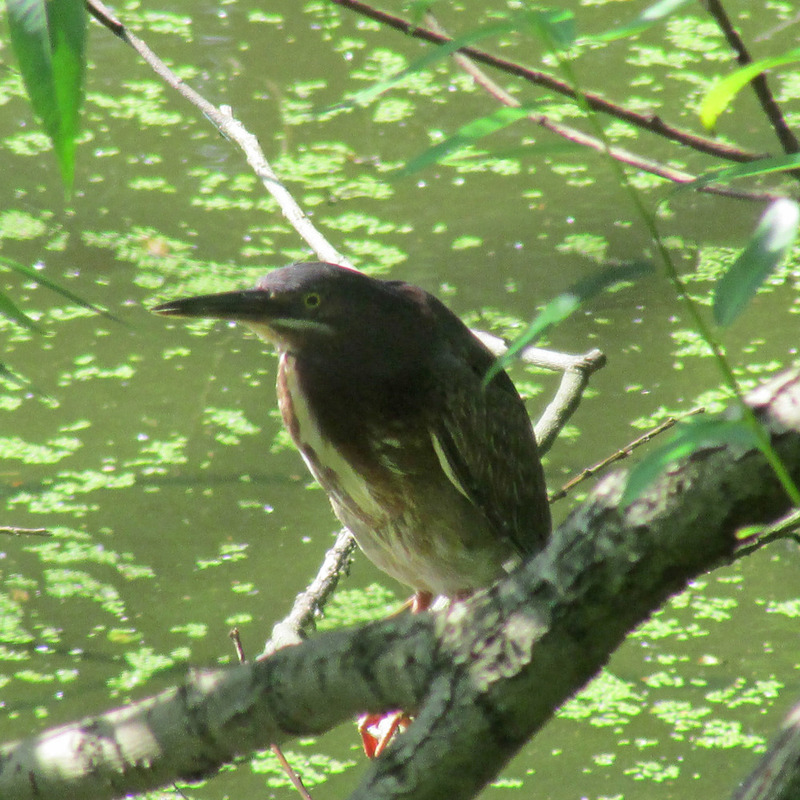 I was able to photograph this gorgeous bird for a half hour before finally finding my way across Hylan to the main pond. 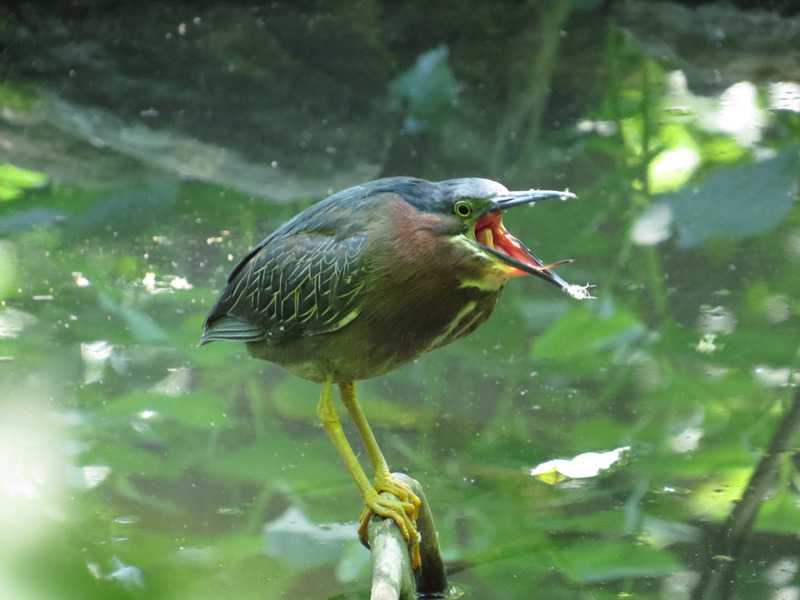 Azalea Pond in Central Park had a delightful green heron visitor on June 17 and 18, 2016. 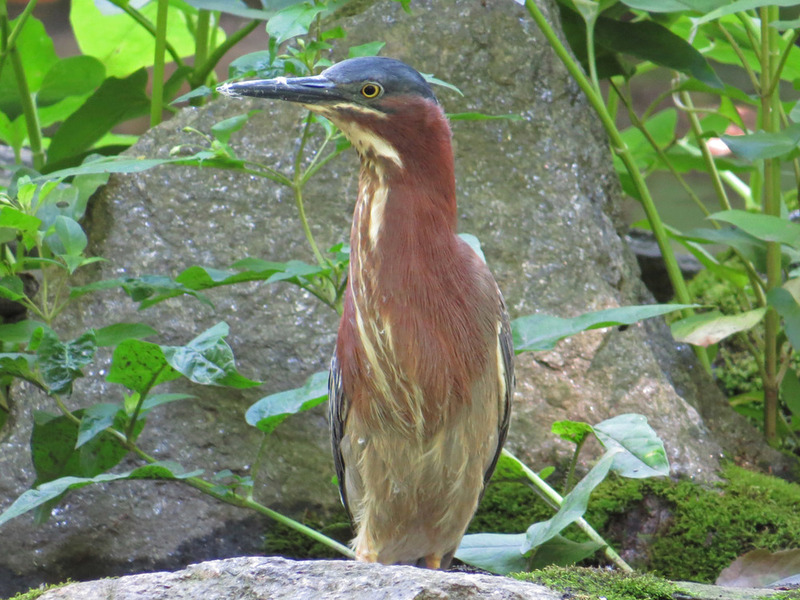 I took a lot of photos and video, because this bird visits so infrequently, but yet is such a gorgeous animal. The heron stood on this little branch over the water both days, regularly dipping into the water, pulling out a little fish, then gobbling it down. He kept doing this, as if he were at the movies chomping from a bag of popcorn. 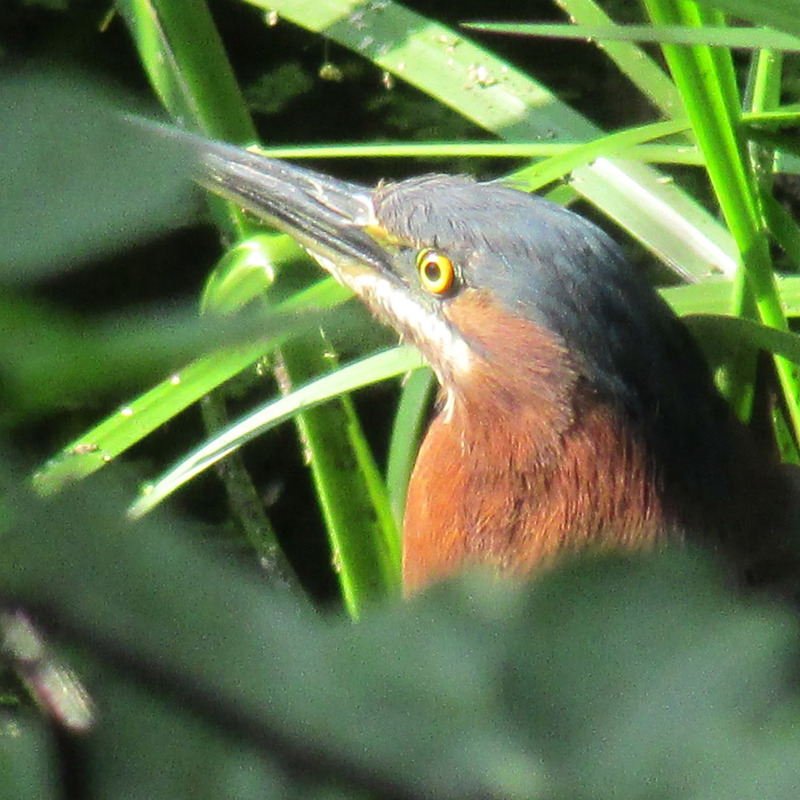 We looked for the green heron the following days, but he wasn't to be seen. 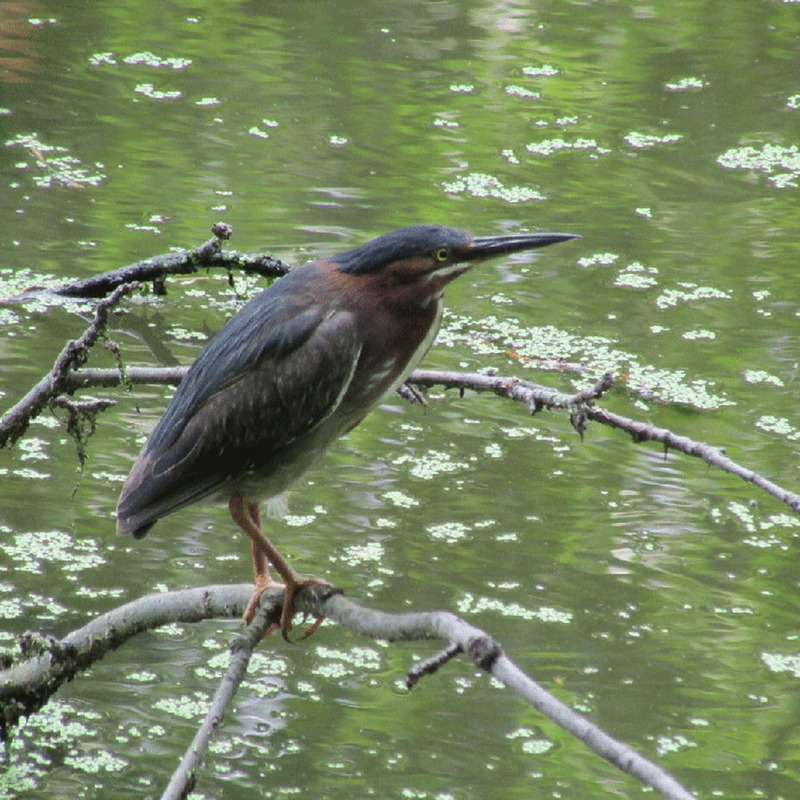 Maybe he went looking for a new pond, having finished off all the fish. Hope he comes back. I wanted to give people an opportunity to really watch the bird, so I put together two videos, both set to music by Franz Joseph Haydn. The following photos are from June 17 and 18, 2016. 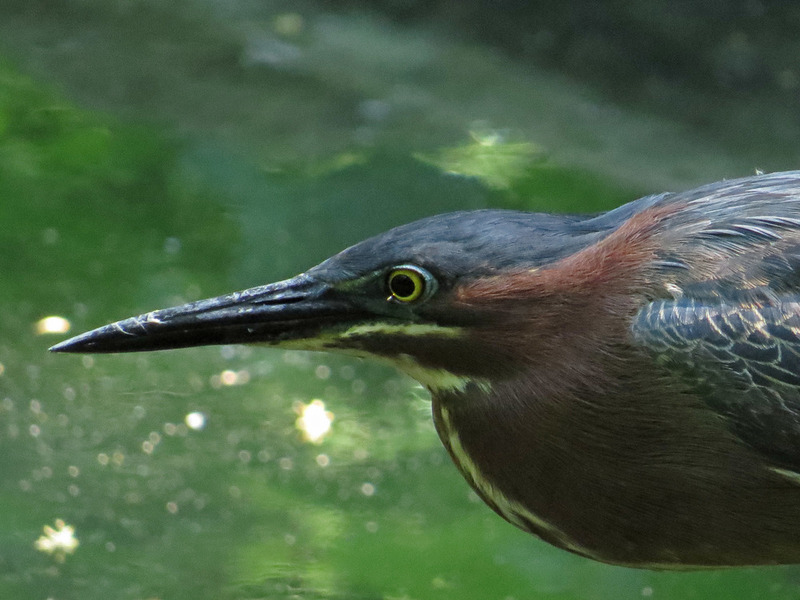 Below them are photos taken at previous encounters with this gorgeous bird. 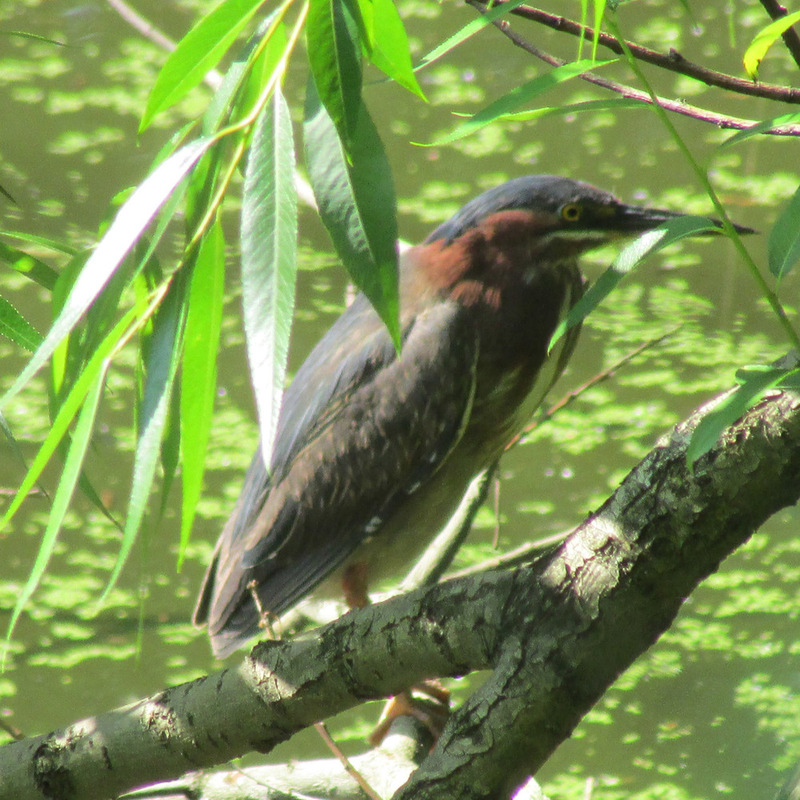 The following shots were taken previously at the Upper Lobe, Azalea Pond and the Pond at 59th Street.